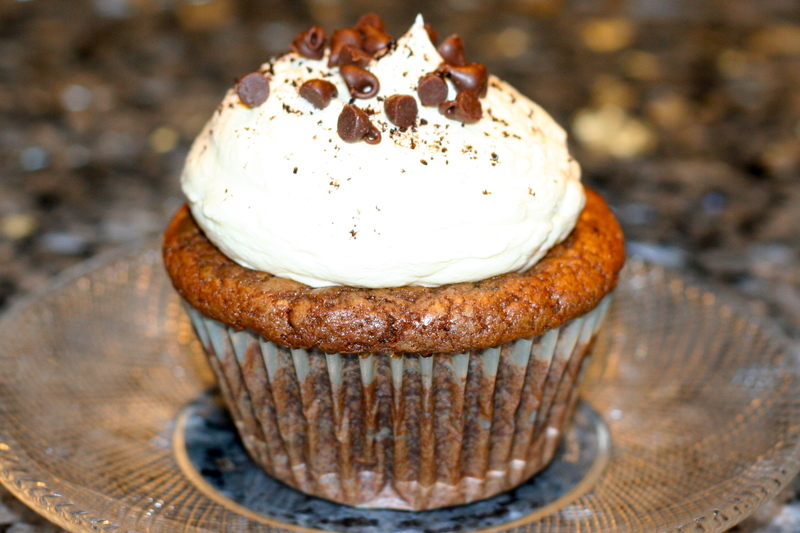 Another great recipe from a recipe book I love called Cupcakes by Susannah Blake. The recipe is slightly modified because I felt like making them a little fancier, but the cupcake batter and frosting is straight from the book. 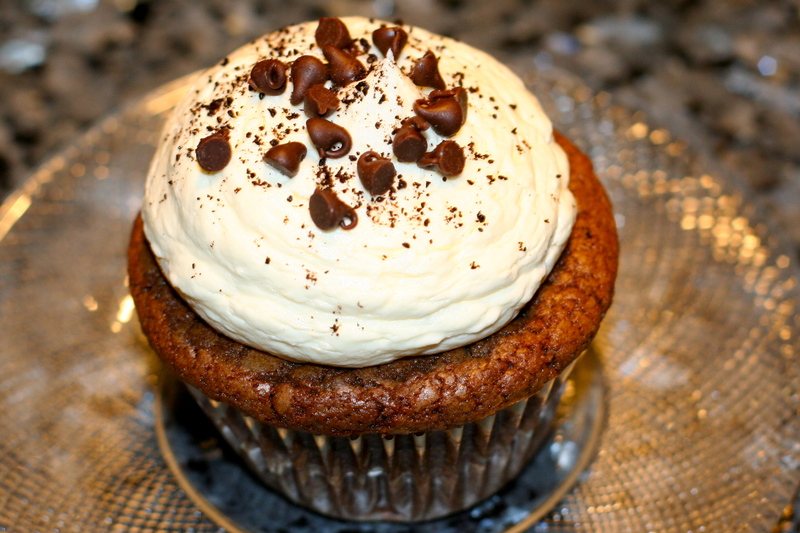 My version of Susannah Blake’s Mocha Cupcakes is a chocolate mocha cupcake, filled with chocolate ganache, topped with coffee buttercream, ground espresso, and mini chocolate chips. Put the chocolate in a heatproof bowl set over a pan of gently simmering water. Do not let the bowl touch the water. Leave until almost melted, then set aside to cool slightly. Beat the butter and sugar together in a bowl until pale and fluffy, then beat in the eggs, one at a time. Stir in the melted chocolate and cocoa powder. Sift the flour into the mixture and stir in, then stir in the coffee, followed by the coffee beans. Spoon the mixture into the paper cases and bake in the preheated oven for about 20 minutes until risen and a skewer inserted in the centre comes out clean. Transfer to a wire rack to cool. For frosting, beat the butter, sugar and coffee together in a bowl until pale and fluffy. Transfer frosting to piping bag with Wilton’s 1A tip. For ganache, melt chocolate chips, heavy cream, and butter in a saucepan until combined. Let cool and transfer to Ziploc bag. 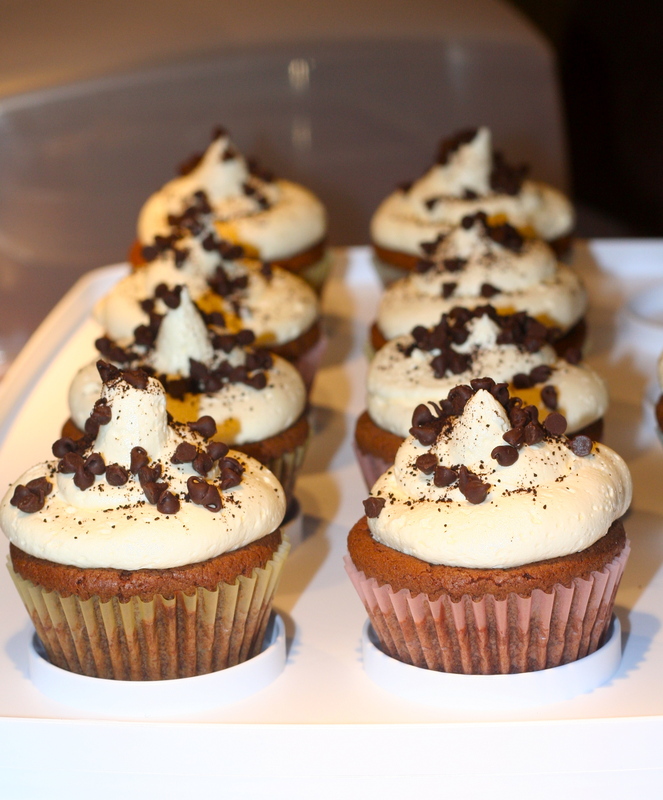 Scoop out centers of cupcakes, fill with ganache. Pipe large swirls of frosting onto each cupcake. 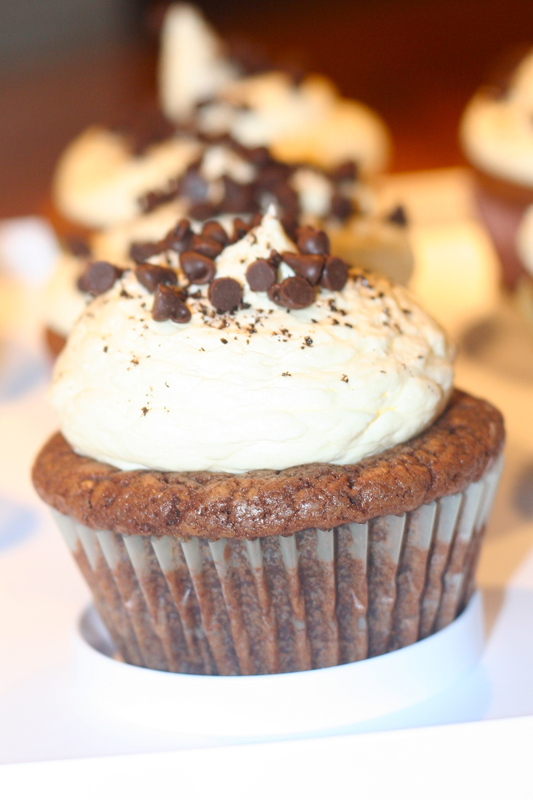 Sprinkle with ground espresso and mini chocolate chips. 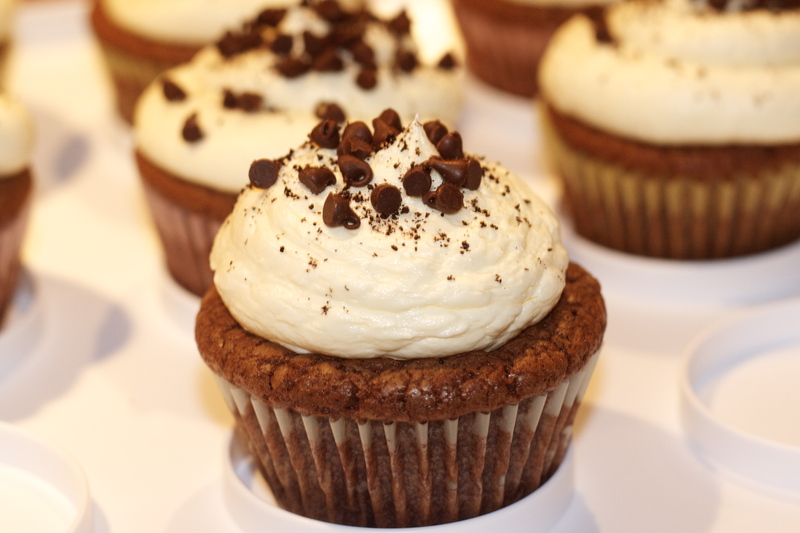 ← Maple Walnut Cupcakes Are Back! Pingback: About | More Sprinkles | Hey Sweetheart, Get Me Rewrite!